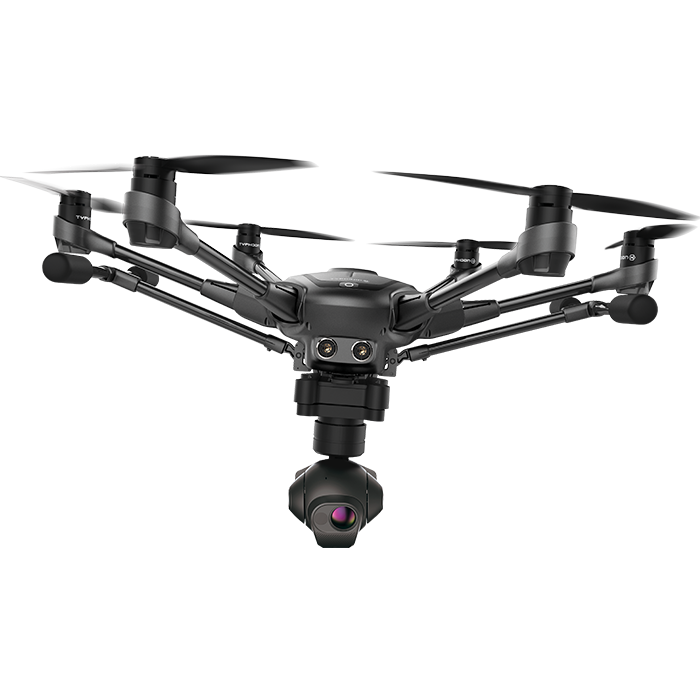 The Typhoon H Thermal Camera CGO-ET is a complete Thermal and Visual aerial imaging solution. Use the CGO-ET Dual sensor camera to identify hot spots and capture images even in low light. The 3-axis anti-vibration CGO-ET thermal infrared and low light RGB camera is a cost effective and easy to use all-in-one solution for many applications such as Police, Fire Fighting, Emergency Services, Search and Rescue, Construction, Agriculture and Forestry. While the infrared camera measures the temperature in the image and indicates relative temperature differences, the RGB camera has a twenty times higher light sensitivity compared to the human eye and takes excellent shots even in low light.